RAPAPORT... Alrosa sold the 51.38-carat Dynasty diamond at auction Thursday, the most expensive polished stone in the miner’s history, it said Friday. The round, D-color, VVS1-clarity, triple-Ex stone (pictured) was originally the centerpiece of a five-stone collection the company cut and polished from one large stone. The entire collection — which bears the same name as the main stone — fetched approximately $10 million combined. 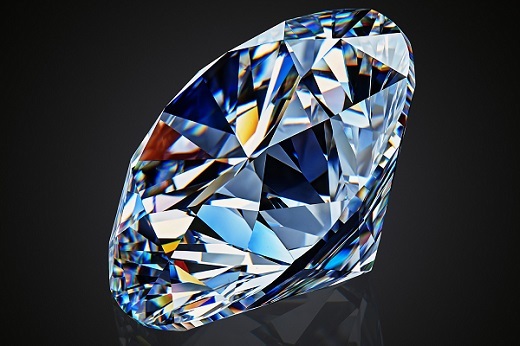 The company did not disclose the 51-carat diamond’s selling price. The main diamond — which, Alrosa said, is the purest large stone that anyone has manufactured in Russia — went up for auction on the company’s online platform last week. The buyer was the Mouawad Group, a jewelry and watch design company known for creating diamond lingerie sets worn by Victoria’s Secret Angels at its runway shows. The other four stones in the collection sold at an auction in November, averaging 30% higher than their reserve price. However, Alrosa withdrew the Dynasty from that auction as it failed to fetch the price the miner was looking for.